SUUNTO WAS ONE OF THE FIRST ENTRANTS into the electronic dive-computer market, launching the SME-ML in 1987. This innovative unit was far smaller than earlier contenders from two long-gone brands that took up the diver’s entire forearm – the size of a depth-gauge, it sat easily on the wrist. It was also much cheaper. 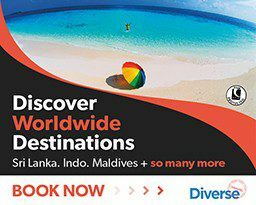 The SME-ML also outclassed its nearest-sized and similarly priced competitor by providing considerably more advanced dive-planning and logbook functions. 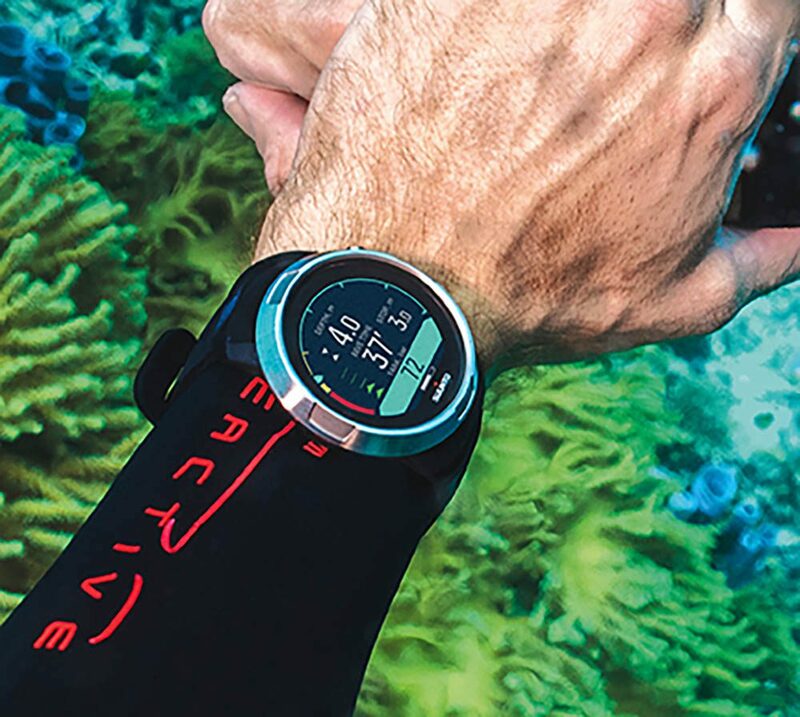 Today, Suunto is one of the biggest players in the computer field, with a diverse range that encompasses both the needs of holiday-divers and those pushing the limits of technical diving. The launch of a new product from Suunto is therefore newsworthy. The D5 is a wristwatch-styled computer aimed at recreational divers, because it’s restricted to using combinations of normal and enriched air (nitrox) rather than funny gases such as heliox or trimix. That said, this is a machine that can, at first glance at least, consummately handle advanced recreational diving, because you can switch between three air/nitrox mixes under water. 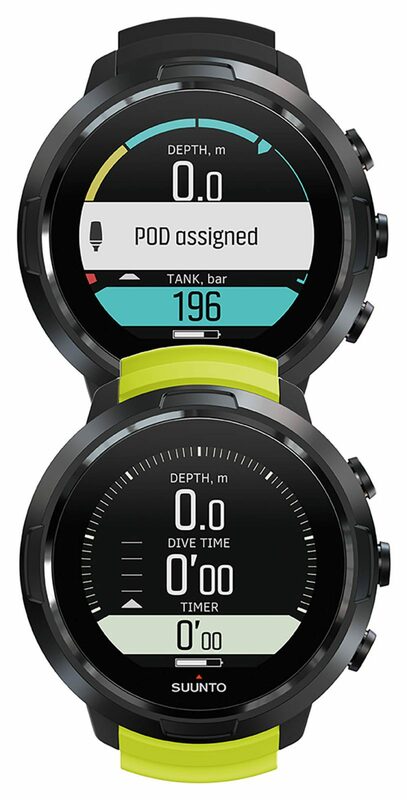 Dive-computers are just a part of Suunto’s outdoor instrument range. In the UK the company owns its own Alton-based distribution company, rather than working through an overseas office or outsourcing, which provides continuity of dealer and customer support direct from the manufacturer. It also has the resources to stage what are, by UK dive-industry standards, big product-launch events, and chose to introduce the D5 at NEMO, the 33m-deep indoor diving centre in Brussels. The computers we were given were close-to-final-version prototypes rather than production models, which should be available as you read this. 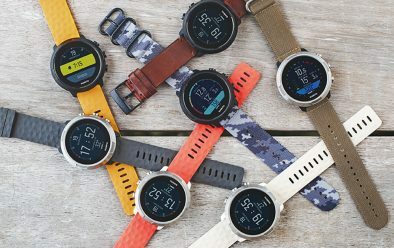 Suunto was still making last-minute tweaks, and by inviting dealers and media to dive with these pre-production versions it was being canny, creating pre-launch interest while leaving the way open to react to any issues that might arise. I was able to make only two dives with the D5, partnered by divEr’s Alex Khachadourian, an experienced diver and instructor, so to claim that this is a comprehensive test would be unfair to you and to Suunto itself, because the D5 has far too many features to evaluate properly under restricted test conditions. At the heart of the D5 is a new RGBM (reduced gradient bubble model) algorithm, the Fused 2 Buhlmann 16gf. This was developed by Suunto with decompression expert Bruce Wienke, whose research is incorporated into many popular computers and tables. 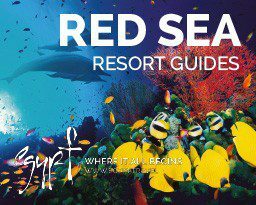 The RGBM is meant to minimise silent bubbles, which form during ascent and after surfacing from a dive. 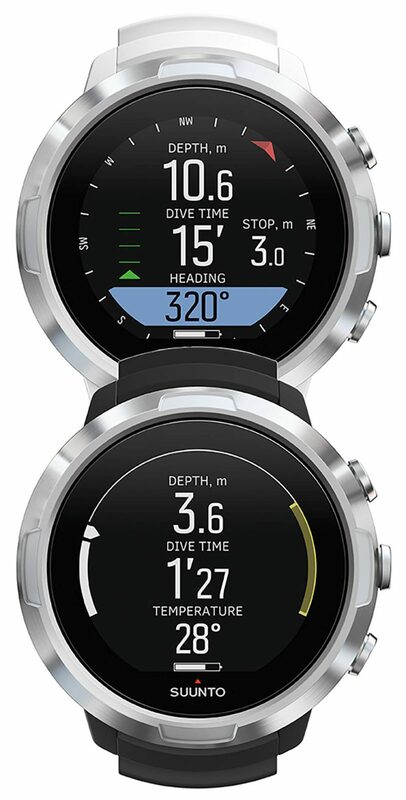 The D5 differs from other Suunto computers in that it permits shorter decompression times following, for example, deep-air dives. It can handle normal air or nitrox plus two additional switchable nitrox decompression mixes of up to 99% oxygen. While nitrox is readily available from many dive-centres and boats, helium mixes are not. While deep-air diving might be frowned upon by some, it’s been with us from the beginnings of helmet diving. People do it, and do it safely. For film units, for example, working at remote locations without access to helium, diving on air beyond the MODs set by nitrox but using nitrox to decompress might well be a pragmatic option. I know a few old pros who seemed able to operate a camera perfectly well on air in the 70-80m range. The algorithm can be further user-adjusted for different degrees of conservatism or liberalism. For example, a tubby diver in their 50s (like me) might choose to go conservative, while a fit 18-year-old might feel at ease choosing the liberal setting. For those diving in mountain lakes, altitude ranges are manually selected, as are maximum oxygen partial pressures. There is a simple Plan mode, so you can scroll through predicted no-stop times for your air and PO2 limits, but not run a full depth/time simulation to see how overstaying the NDL (no-deco limit) would affect your decompression obligations. 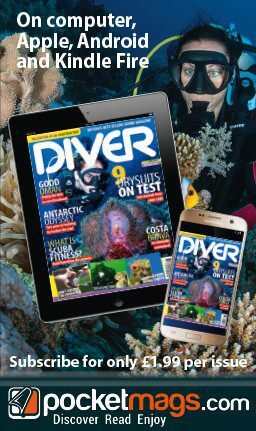 You can recall your dives for logging either by viewing them on the screen to transfer to paper or show to your divemaster, or wirelessly to your phone, using a Suunto app to share your dives on social media. The D5 can be integrated with your main cylinder, plus your stage tanks, using the Suunto POD, one of which is needed for each cylinder. It will predict remaining gas time based on your breathing rate. You need to program in details of your cylinder pressure and volume, and can also set warnings based on the reserve you’d like, either as a low-pressure warning or based on how long your gas is predicted to last. This option wasn’t tested. 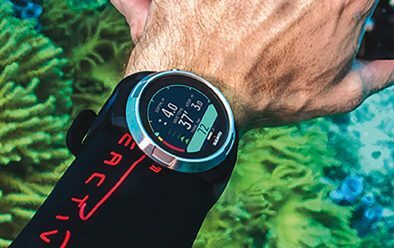 Alongside its air and nitrox capabilities, the D5 has a Gauge mode for those who prefer to plan their dives using tables, and a comprehensive Freediving mode. It also functions as a watch, of course! The built in li-on battery is charged from a USB cable. The units were naturally charged by our hosts ahead of time, so I couldn’t test this feature. 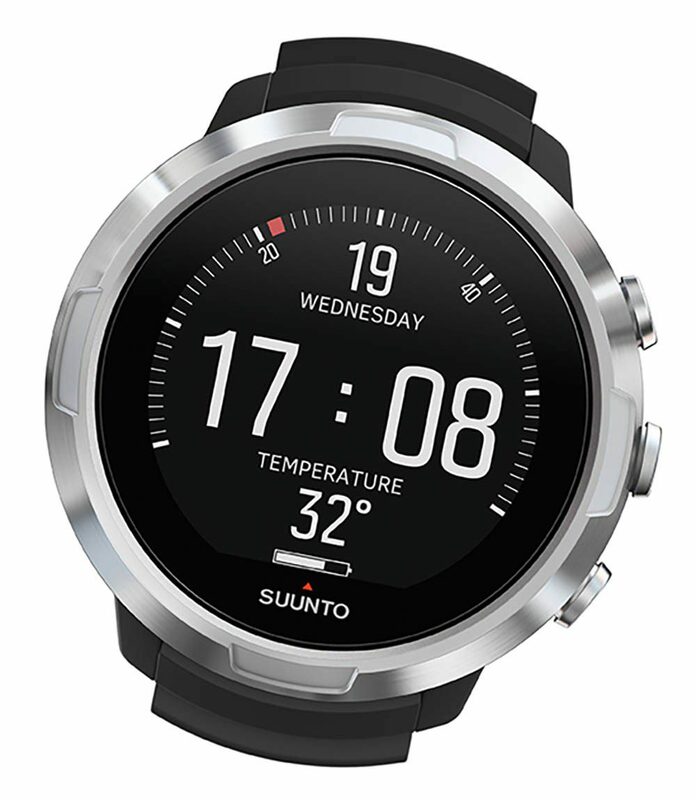 Suunto wasn’t sure of the operating time itself, because battery life will depend on the final production model’s power draw. Suunto’s market research suggested an age-range ending in the mid 40s for the D5. At 55, I struggle with near vision and, as is often the case with watch-sized dive-computers, reading the displays can be a problem, as it was for me and several other oldies. I didn’t have reading lenses in my mask, so used a camera close lens to work out what I was seeing. A problem when testing dive-computers is often not with the read-outs themselves, but with testers’ over-familiarity with their own unit and glorious unfamiliarity with the test model. Normally I use my own computers as a reference but Suunto had, not unreasonably, specified that only its own computers could be used on the trip, and provided me with an EON Core with its huge display. The numbers on the D5 are actually quite large, so the information I had been struggling to read were the functions to which these figures related, such as whether I was still within my NDL. The D5’s custom functions let you change the screen layout to suit your preferences as to which and where information is presented. The MIP colour screen is always illuminated by a powerful, adjustable-intensity LED, and I loved this! Parts of NEMO, such as the connecting tunnel between the two deep pits, are quite dark, and the D5 shone brightly there. On many dives it can be tricky to press a backlight button without having to rearrange your grip on a shotline, torch, reel or camera, and shining a torch on a computer screen with your other hand is a pain, because unless you get the angle just right, glare can render the numbers unreadable. With all the deco, navigation and, using the POD, gas info beautifully back-lit, seeing all your dive status at a glance in the dark is a real bonus. The first dive was about getting to know the D5’s basic NDL display. My read-outs had been pre-set and, I guess, will be the default ones on the production unit. Key information such as current depth and remaining no-decompression time are very clear, with less important info, such as maximum depth attained and temperature, shown more discreetly. There is also a graphic display, but I find that reading numbers forces me to concentrate and actually retain the information. Graphics are for smart people, like divEr readers. You can pre-set audible alarms to beep at a given depth and time. I wore a hood to test these, but failed to hear them through it. However, as I crossed the depth threshold, a depth alarm was displayed on a strapline across the face of the D5, and remained there until I had acknowledged that I’d seen it by pressing a button. I tested the ascent-rate audible alarm by ascending quickly but, again, couldn’t hear the beep, although the graphic warning was very prominent. The trouble with most dive instruments is that they’re passive – if you don’t look at them, there’s not much they can do to tell you how to stay safe. I remember unintentionally straying into deco when I was at 12m shooting pictures, and plenty of divers have lost track of time, depth and air through inattention. So I was very interested in the Suunto D5’s unique selling point – a vibrating alarm. Back on the surface, I spent some time going through the D5 menus, including how to set this alarm. The D5 uses three push-buttons to access the menus. The centre one is basically a select button. A simple short or long press enters or exits the menu. The upper and lower buttons scroll up and down to access functions. It’s a very straightforward, intuitive operation, and even I could read the displays easily. Among the functions I selected were high altitude and maximum conservatism because, on the next dive, I wanted to see the full-on deco read-out without actually going into decompression myself. Back at 33m, it wasn’t long before the unit asked for stops. The vibration alarm was sustained and unmissable, and I consider this a fantastic safety feature. Here’s why. Years ago, a good friend and very competent diver made the same mistake I had. He was photographing a clownfish off the stern of the Carnatic some 30m down. He had checked his NDL and felt he had plenty of time remaining. When he next looked, he had an eight-minute decompression stop on the go. From that depth, on a single, underfilled 12-litre, having enough air for decompressing can become an issue, the more so if the situation is compounded by being slow to begin your ascent, swimming against current or needing to share air. If you aren’t prepared for a decompression dive, it’s not good to be overtaken by mandatory stops. The vibration alarm, a bit like a pilot’s stall warning stick shaker, should be unmissable. Begin your ascent immediately and, chances are, the stop will clear before you reach it. However, I would have liked to test it with the D5 worn over a suit rather than a bare wrist. Once into deco, the information needed to manage it is neatly displayed. If you’re linked to your gas supply using the POD, you can see an estimate of how long your gas will last. You can see your TAT (total ascent time) and gas duration and ensure that there’s enough breathing gas to cover it. I’m casual about dives with up to 20 minutes of stops so, if I’m having a good dive, these features let me decide how far I want to push things. Along with TAT, the D5 indicates your ceiling, the optimum depth for decompressing, and works its way down, starting at 3m. 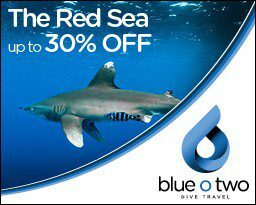 It also has a deep-stop option that, even on no-stop dives, will ask for a brief stop at around half the deepest depth attained. On both NEMO dives, this was at around 16m. If you don’t care for deep-stop theory, you can turn it off. Decompression and safety-stop time is clearly counted down once you’re in the correct depth zone. There are the usual visual and audible alarms if you rise above the ceiling. The electronic compass has an easy-to-see degree scale set around the D5’s perimeter. You can also preset your heading, helping you to navigate back to your exit-point, for example. The ability to customise displays might well help when using the compass, as a lot of information can be presented at once, which you might want to tame. Suunto made a great deal of the D5’s strap range, as it’s likely to be worn as a dress watch. For diving, a Zulu strap offers similar security to a NATO strap, passing through both pins to prevent the loss of the D5 and all that dive-management information should a pin break. 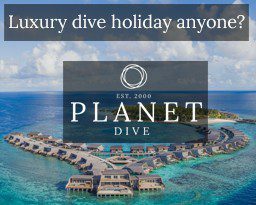 For those with huge wrists and thick dive-suits, extension straps are offered. 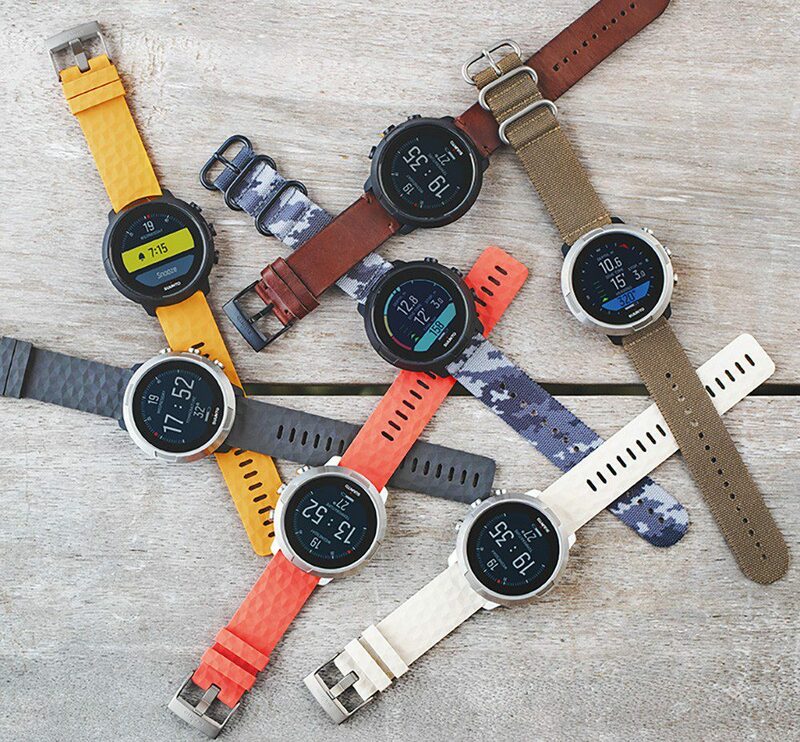 The range of strap and casing colours should make it easy to keep track of your unit if your buddy also owns one. 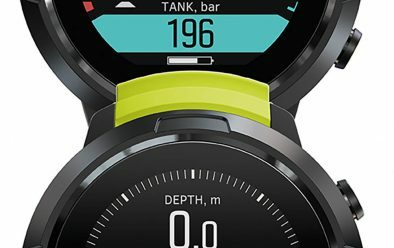 The Suunto D5 is a very well thought-through dive computer for the users for whom it is designed. You need to ensure that you can read the displays, as with any computer and especially watch-sized models. 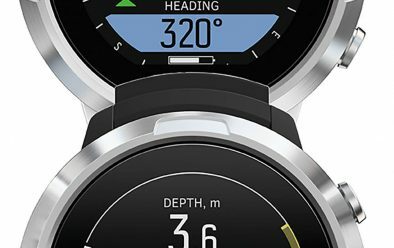 With user-updatable features, the option for gas integration and three possible mixes for advanced decompression schedules, plus those all-important social-media facilities, the D5 looks set to be another success for Suunto. Who knows, on closer acquaintance it might turn out to be worth even more stars.